In the period from July 26 until August 31 of this year, the units of the Border Agencies togather with the interacting authorities ceased 3.4 thousand administrative offences committed by foreigners and persons without citizenship. They caught during the target operation “Migrant” being performed in this period. In addition, the employees of the State Migration Service and National Police also took part in it. 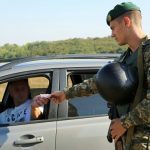 Note that during the month the officers of the State Border Guard Service of Ukraine brought to administrative responsibility more than 3 thousand offenders being imposed with the fines totaling more than 8.2 million UAH. A significant number of foreigners, more than 90% were prosecuted under Part 2 Article 203 of the AICU “Violation of foreigners and stateless persons the rules of stay in Ukraine and transit travel via the territory of Ukraine”. Besides, the border guards refused about 2 thousands of potential offenders a thousand foreigners in entering the country, 101 offenders were forcibly returned to their country and 24 persons were expelled. Fifty persons were placed to the Temporary Residence Facility and 52 persons are hold in the places of Temporary Detention Facilities of SBGSU. Also the activity of the criminal group consisting of 5 persons was suppressed, 4 organizers and 4 accomplices of illegal migration were detained, the Investigation Unit of the National Police received 15 notifications about detected signs of the criminal offenses. This entry was posted in Translated Media-News from Ukraine and tagged foreigners, National Police, stateless persons, Ukraine, Violation on September 11, 2018 by oksana.